“There is no such thing as a dysfunctional organization, because every organization is perfectly aligned to achieve the results it gets.” – Jeff Lawrence. We were asked to comment on this statement. Here is our reply. The word dysfunctional contains the prefix dys- from the Greek meaning “bad”, “abnormal”, “difficult”, or “impaired”. We can say that an organization is dysfunctional when it works in a way that is not consistent with the goal it’s supposed to pursue. Why would that happen? Because there is a lack of clarity and understanding of the goal of the organization. This could easily produce dysfunctional organizational behaviour, meaning behaviour that is not consistent with that goal. Very often, what could be perceived as dysfunctional toward a stated goal can be extremely functional for a non-verbalized one. Agendas exist. 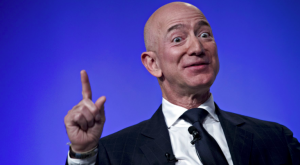 Is Amazon a dysfunctional organization? Amazon, regardless of how much we may dislike the way it treats its people, is perfectly functional for a goal that we might find unacceptable. On the other hand, there are organizations with stated goals that we might like but that may have dysfunctional organizational behaviours. This is because their leaders, despite their best intentions, do not know how to structure and manage the interdependencies correctly. Interdependencies govern who does what, when, how and why. They need to be designed and mapped. This, by the way, is fundamental knowledge and know-how for digital transformation to actually work. If leaders of organizations are not able to minimize the gap between the goal and a consistent way of behaving, then that gap creates dysfunctionality. What we do at Intelligent Management is to help organizations close that gap by adopting a structured and powerful approach. How? By understanding, shaping and managing interdependencies in a way that maximizes their consistence with their stated goal. As long as it’s ethical, of course. And ethical means delivering value not just to the customer but internally and to the entire supply chain, and, indeed, beyond. Jeff Bezos of Amazon may well have read Goldratt’s ‘The Goal’ but he completely missed the bigger picture. As his empire grows we need to be concerned about the kind of ethos and culture he is spreading. There is a much better way. The Future of Work is hot topic. Let’s make sure it’s a Future of Better Work. The post Is Amazon a Dysfunctional Organization? Definition and Cure appeared first on Intelligent Management. Purpose and Brand: What’s the Difference?